The video game industry has never had to pine for games starring giant robots. The mech market eventually peaked and began petering out with Steel Battalion and its monstrously amazing dual stick, forty-button controller. 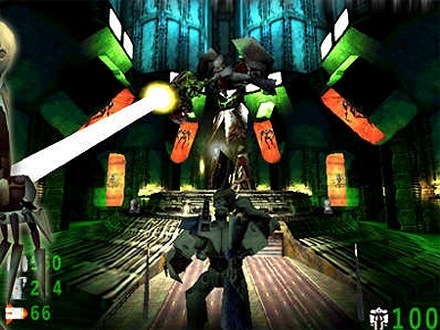 Slave Zero was released in 1999, at the height of popularity for walking tank games and did little to distinguish itself from the rest. It was one of the last games released by developer Accolade and when you play Slave Zero, you will not mourn their demise. The story follows a rebel group called the Guardians as they try to take down SovKhan, an evil corporation that runs Megacity S1-9 with an iron fist and have polluted the world with its toxic waste. 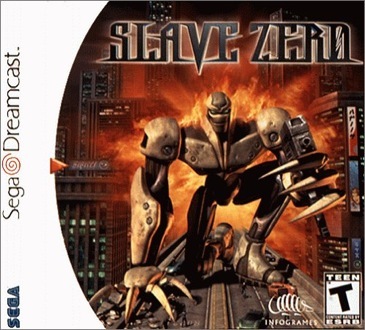 You take control of the stolen slave robot Slave Zero in an effort to save the world. After reading that summary, your process of understanding how poor this game is has begun. The story is a yawner, and the game play is just as bad. The game play is repetitive and mind numbing. Its one of those games you play for two hours and afterwards, you think all the places you could have gone, the things you could have done, the movies you could have watched, the friendships that could have been made, the women you may have loved. And then you look at your good video games and say a silent sorry for not playing those instead. It isn’t fast enough and doesn’t have enough enemies to be a run-and-gun, nor is there any strategic thinking needed to beat missions. I wish I could say the game falls somewhere in the middle, but the banality of Slave Zero is unremarkable in nearly everyway. Mission ends are a godsend because that’s where you can save your game and then quit out without losing progress. Boss fights are easy and do nothing to break the tedium from the rest of the game. If you strafe and shoot, you’ll become just like Parker Lewis and can’t lose. The one good thing I can say about the game mechanics is that Slave Zero is fully playable from being to end, if you want to torture yourself. Music does not exist while playing the game. Once I heard something, starting off faint and growing steadily. “Oh boy,” I thought, “Finally, some music!” I was crushed to find that it was merely the sound of scratches from an enemy repeatedly rubbing against the wall. Sigh. Your best bet is to turn on Pandora radio and make your own soundtrack. Tool fits the mood of the game perfectly while Rob Thomas would serve as nice counter programming and, as an added bonus, get you all the ladies. Backgrounds are futuristic, dark yet brightly lit somehow. You do get the feeling of being a giant, smashing ant sized cars and small buildings. Climbing towers gives the level design a vertical aspect that feels like King Kong charging through a futuristic New York. The sewer levels are dark and drab, yet you don’t get a sense of dankness or moisture even as you wade through green water. Cities and sewers are really the only types of level in the game. The enemies range from flying giant robots to walking giant robots to the unique giant spider robot. Sometimes jets and tanks attack, but they are easily defeated and most of the time can be run by with no consequence. After a small amount of playtime, everything begins to blend together. Enemies are all giant robots and levels are all futuristic and gloomy. This indistinguishability ruins moments of the story as well. For example, when you enter the slave embryo breeding facility, your fellow rebels gasp in horror at what they see. What you see, however, a room near identical the previous hour’s rooms and any sense of dismay disappears into the emerald water and inky walls. Playing in third-person mode will make you puke as the camera jogs and jostles along with Slave Zero. Thankfully, you can switch to first-person, which makes controls and movement digestible. The control setting flat out lies to you. According to control options, analogue control up looks up and down looks down. If you prefer inverted settings, have no fear because that’s what the controller is actually mapped to. If you like standard aiming, you are provided with a chance to practice something different since there is no way to change to the navigation the game claims to provide. One fun thing was occasionally shooting the teeny people walking around. 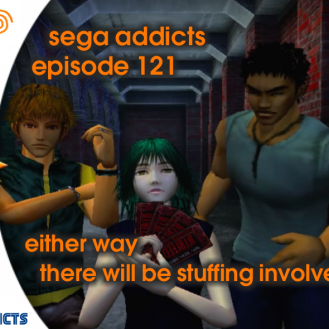 You’ll be forced into random acts of violence as shooting your real enemies grows downright dull. Glitches transpire whenever they feel like it. You will get shot through floors and walls and sometimes get randomly stuck. When slogging through a sewer level, I was once caught in a door as it closed around me. I argued with myself whether or not this was realistic. I reasoned one could get stuck in a door as its closing. I’ve gotten my jacket stuck as I was leaving the house and once I accidentally slammed a car door on my little brother’s finger and he certainly wasn’t going anywhere. Then I realized I was having this debate on account of my sheer boredom brought on by shooting dozens of mechanical spiders, one after the other after another. The game occasionally can mislead you in a wonderful way. One occasion had a full-life box seated peacefully in a corner. As I ran towards it with greed in my heart, I was ambushed by a salvo of plasma energy. I looked up to find a mini-robot atop a perch hidden from my previous view. The moment knocked me for a loop, a welcomed change from the monotony of the previous hours. But unexpected bursts like this only served as reminders of the games true, uneventful nature. Multiplayer is a joke. The game play would suffice and perhaps be potentially fun if the level designs weren’t so uninspired. When the best level, Tunnels, is a standard square grid, you know you are in trouble. Each area is disorienting because rooms and corridors look the same, making it impossible to find you way about. The arena titled “Fun Box” must have been an ironic joke as it simply is a cave with a giant blocking the middle section and a few platforms and poles as obstructions. I made my little brother, who visiting from the great state Minnesota, play with me. We started out at ten frags to win. The next game became seven kills and after that five kills. Our last match ended in my favor 2-1. I say in my favor because he fortunately refused to play anymore with me. And when Peter Barbatsis has enough of a video game, you know that game is terrible. Slave Zero gets a D for its unoriginal story, lackluster controls, bland enemy robots, and a horrendous multiplayer experience. Screw you Slave Zero! Heh, I loved the ending to this review. It’s unfortunate that someone found a way to screw up a game about giant robots! I played a lot of the demo when I was younger. Going back and playing the game recently has told me that I was a bad judge of games in my youth. Yeah, I convinced myself to play this thing through to the end. I remember it being painfully bland, but I kept going. 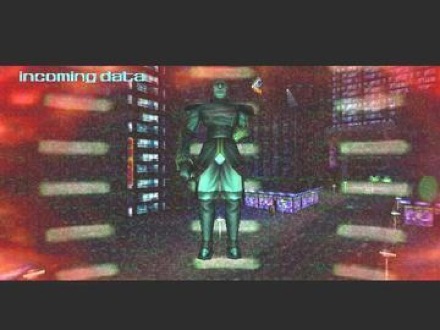 Because of the awkward graphics, it never really felt like you were a giant robot walking through a city, either. The things you were walking around didn’t really look like buildings, so you just kind of felt like a boring ol’ normal sized robot.